I recently had a discussion with some young leaders about their responsibility to motivate the people with whom they are working. The question was, “how do we encourage people to do the things they may not want to do but that are necessary in order for us to reach our God-given corporate goals?” They shared how it is sometimes frustrating to have to convince people to do the necessary and meaningful tasks associated with mission success. Many leaders struggle in this area. I thought about one of the more effective leaders I know. This guy is a successful Pastor and, every place he goes, he draws a crowd. I don’t just mean people come to hear him speak, I mean people come to partner with him to accomplish his dreams. He has the uncanny ability to convince people to sacrifice and commit on a level that makes other leaders envious. I thought about what a great motivator this man is. I considered how he can get people to do some pretty impressive things, things they normally wouldn’t do. And I also thought about how the line between motivation and manipulation is sometimes blurred. First – two definitions (mine, not Webster.com). Motivation: inspiring people to do good things that they normally wouldn’t do, for the purpose of accomplishing a worthwhile goal. Manipulation: coercing people to do things they wouldn’t normally do, for the purpose of benefitting a leader or organization. Whose agenda is being followed, whose kingdom is being built? If the establishment of God’s kingdom is the priority, manipulation just can’t happen. If people are being controlled in ways that are unhealthy, the kingdom of God is not involved. Leaders who are building a career or are seeking advancement in their field will probably fall into exploiting others for their own good. 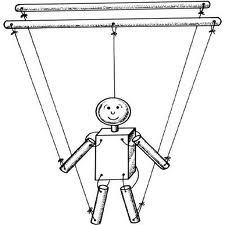 Followers become marionette puppets on a string used at the whims of the leader. Listen: Never use other people to advance yourself. Check your motives. Are the people being respected? Leaders must respect their followers so as to never finagle them into areas that will result in hurt. The woods are full of people who have been taken advantage of by ministries and pastors, and there are serious negative consequences. A leader must put the best interest of her followers first. God’s plans are always in the best interest of His people. To get people to cooperate with and participate in God’s plans for them is to offer great respect to them. Respect your followers. How does it feel when you are the one being manipulated? Many of us have been victims of some super-leader who controlled us like a pawn on a chessboard. And it doesn’t feel very good. You give, you serve and the goal is to make the leader look better. If you are ever in doubt as to whether you are motivating or manipulating, put yourself in the other person’s shoes. Treat others the way you want to be treated. Remember, this whole thing is all about God and His people. Great leaders motivate, great users manipulate. Come on guys, we’ve got to learn how to motivate, and we can never be guilty of manipulating.